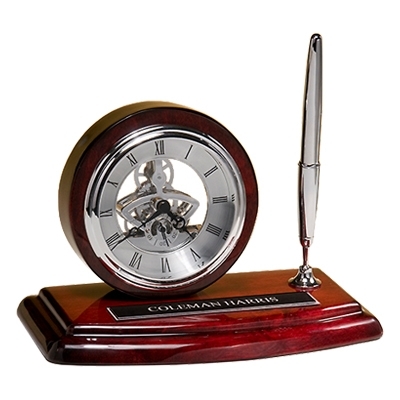 This skeleton clock features a silver pen on a rosewood frame. Your custom text and logo is engraved on a black and silver plate. *This award allows for a maximum of 2 lines of text.